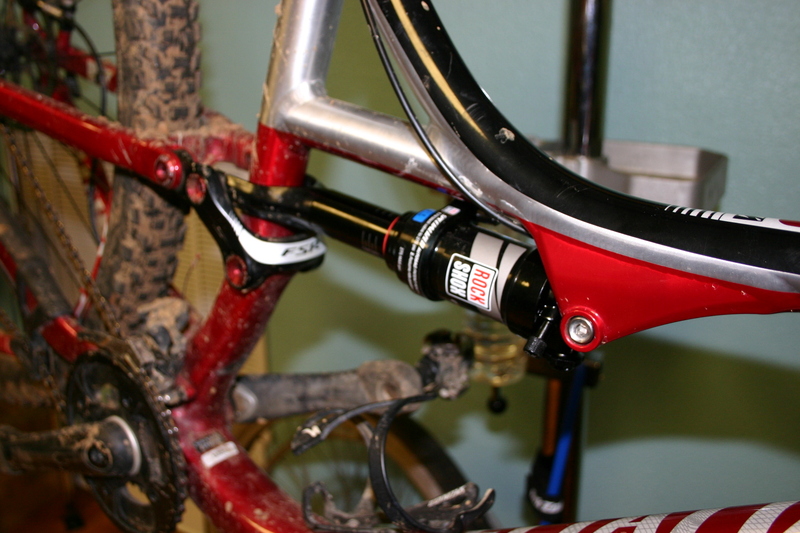 In this installment we will cover replacing the rear shock on the Stumpjumper. Having a shock that is tuned properly and in good working condition is vital on a full suspension bike. The shock controls the movement of the swing-arm and keeps the rear tire in contact with the ground. 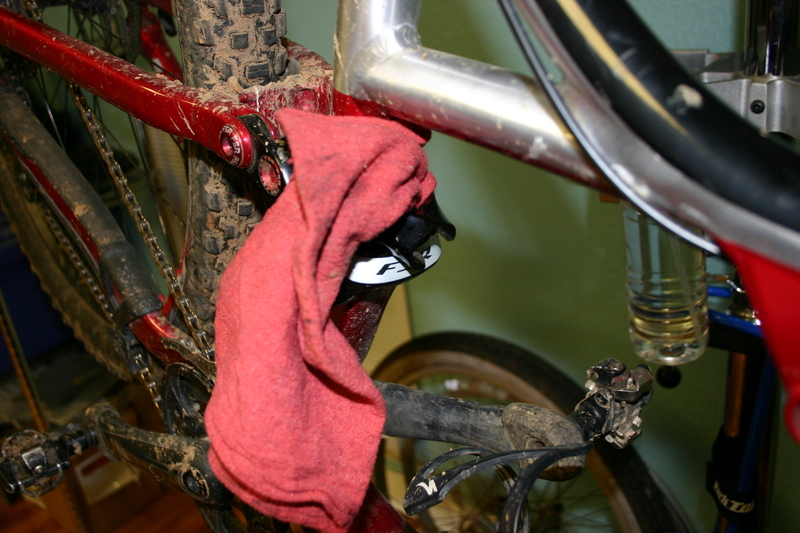 A poorly matched shock/suspension combo can make a bike miserable to ride. Excessive bob, kickback and all-around poor manners can result. 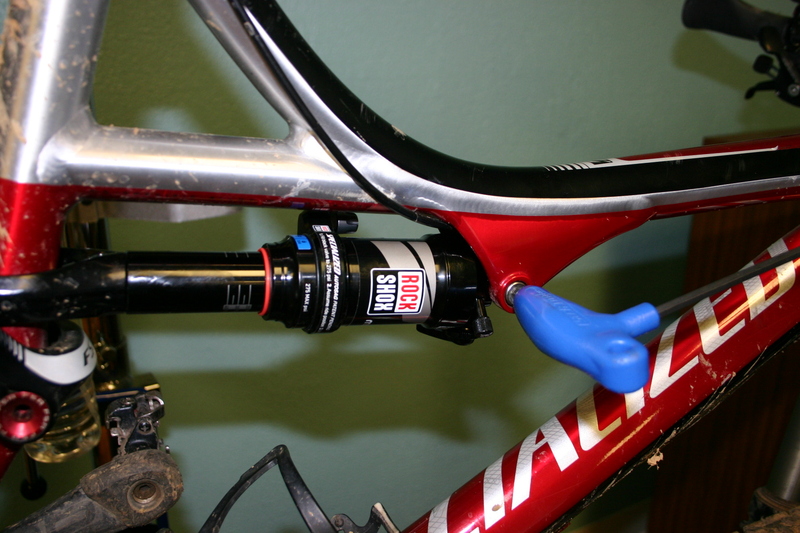 Therefore it is important to make sure that the shock you choose is right for your bike. 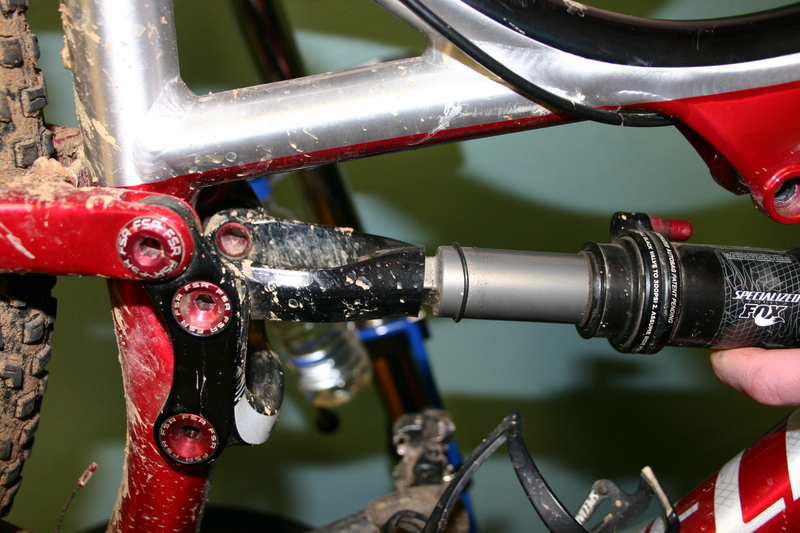 The Stumpjumper came with a Fox Triad II shock. This is one of Fox’s lower end offerings. It is a decent shock but nothing to get excited about. After over four years of use, the shock was in desperate need of a rebuild. Rather than spend the money to rebuild the so-so Fox, it was decided that an appropriate upgrade was in order. 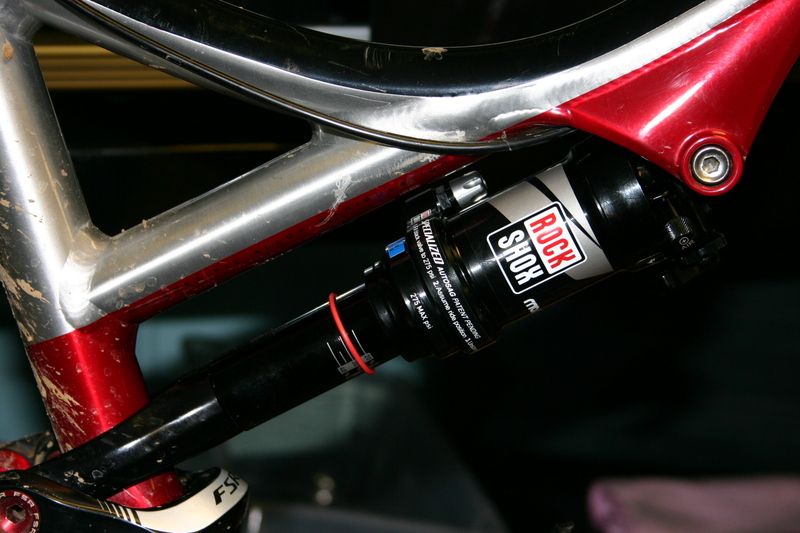 A RockShox Monarch RT3 was chosen to replace the Fox. This particular model Monarch is designed to fit the proprietary shock clevis mount that is on Specialized frames. 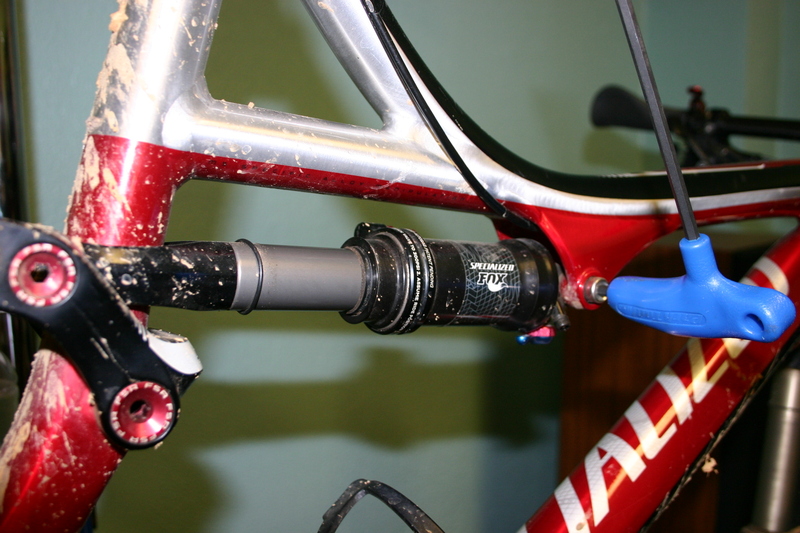 Trek bikes also require a shock that fits a proprietary mounting system and RockShox is happy to oblige. 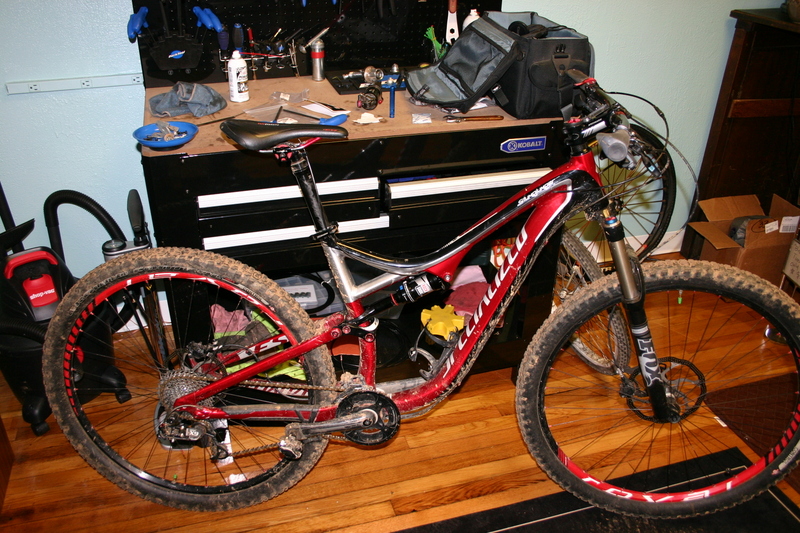 The install was relatively straight forward with the only hiccup being a too long OEM rear mounting bolt contacting the seat tube when the shock was fully extended. A visit to the bench grinder took care of any issue. Once the bolt was ground down and everything was buttoned up, it was time for the test ride. Overall control is vastly better than the OEM shock. Square edge hits are no longer a problem with the Monarch controlling the rebound with ease. 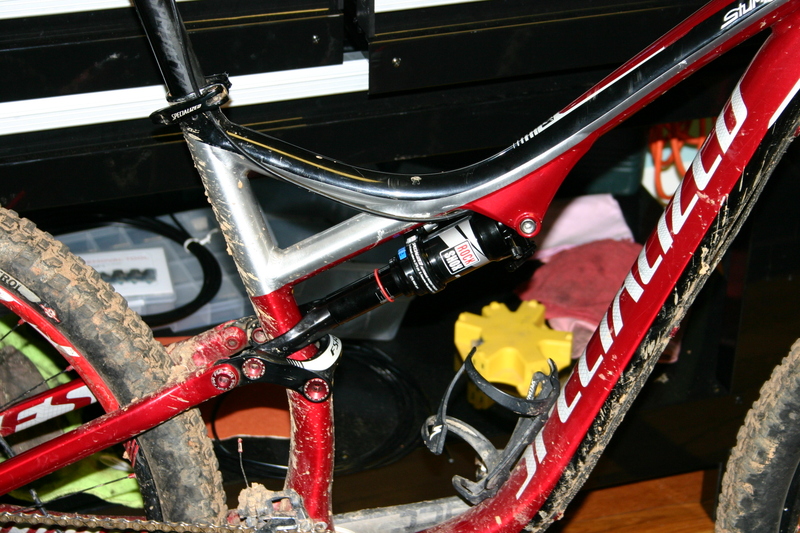 Pedal bob is less and the pedal platform on the shock is strong without killing all of the small bump compliance. Looking forward to getting it completely dialed in. This is the type of shock the bike should have come with from the factory. The OEM shock can’t hold a candle to the Monarch, even when it was new. Performance has increased in every parameter. Compliance for small and large bumps has markedly improved. Rebound is controlled much better with less snap back on sharp peaks. Overall this is a great improvement and definitely worth the price.